30 percent of the total US carbon CO2 emissions were produced by the transportation sector. That's nearly 2 billion metric tons of CO2 per year that we send into the atmosphere. We need to do something and do it quickly since the Earth has already been feeling the effects of humankind on its well being: sea levels have risen, ocean temperatures increased, and global warming is a real threat. Luckily, non-profits like Cool Earth have already jumped on the problem, with the mission of reinvesting the donations they get into cleaner and greener energy sources. 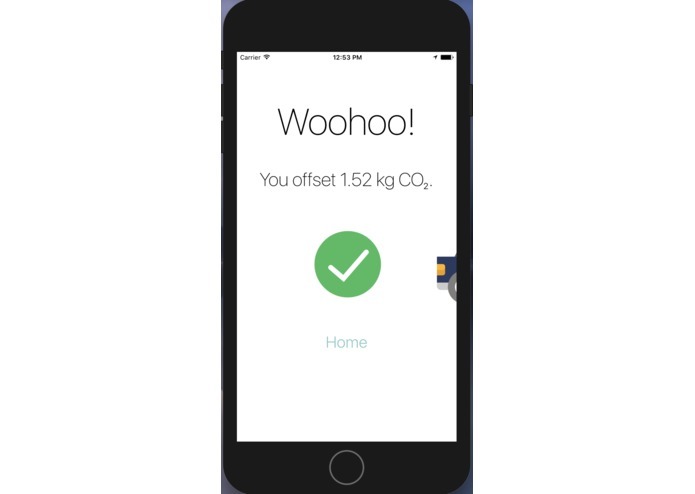 They calculated that for every tonne of CO2 that is being sent into the atmosphere, they can offset its negative effects with a donation of just $1.34 dollars. The initial idea for Zeppelin came through when we thought about how much it would cost to offset one flight-worth of CO2. After reading papers from different non-profits, we realized that a flight from Los Angeles to New York would cost only $4.22 per person. Who wouldn't want to help the Earth, greatly offset the carbon footprint, and do it for just a fraction of a cost of a normal ticket? 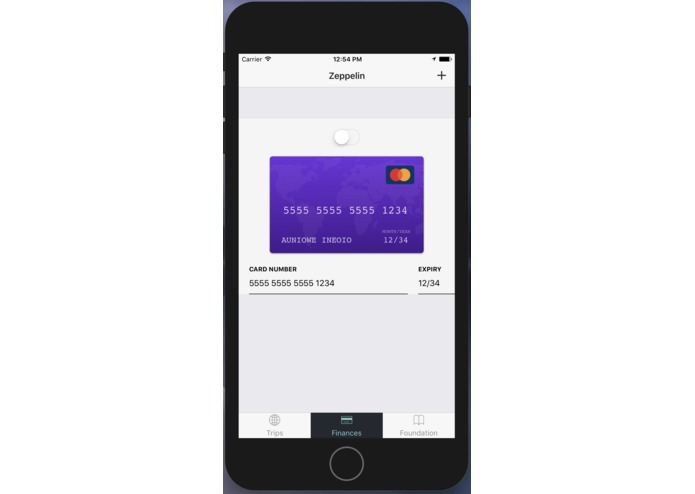 We decided to make it easy for people to make this step forward, so we created Zeppelin. 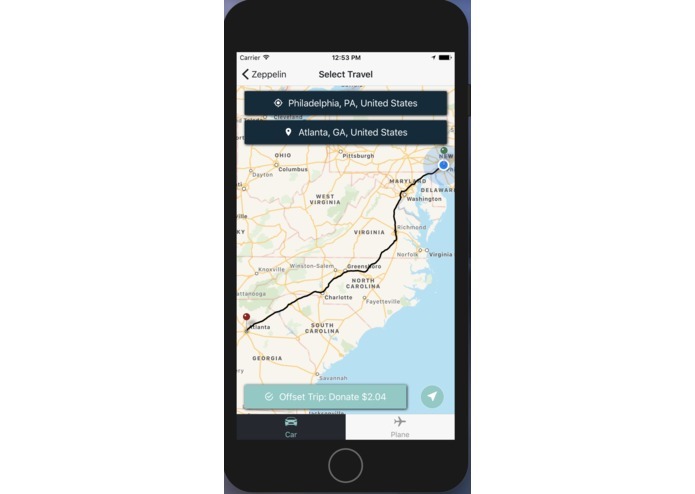 Jake just landed in Atlanta with his flight from San Francisco, and by opening Zeppelin, facing the camera at his boarding pass, and pressing a button, he was quick to donate to the non-profits he knows can help his cause. Luckily, his credit card is stored securely on the app, so there is no need to do any extra typing. Reni is about to go on a road trip with his friends from New York City to Denver. 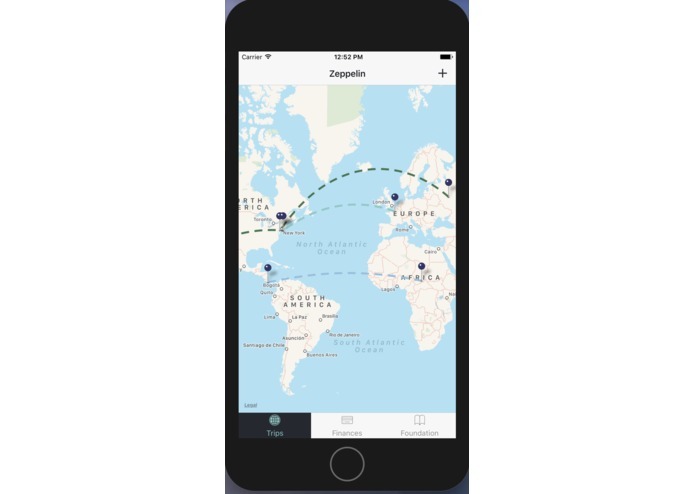 By opening Zeppelin, typing in where they are going, and pressing the "Donate" button, Reni kept his mind at ease during the trip about his carbon footprint. We can scan boarding passes, calculate your CO2 emission by car and by plane, store your credit card for when you want to donate, and we can wire the money to companies like Cool Earth for you. 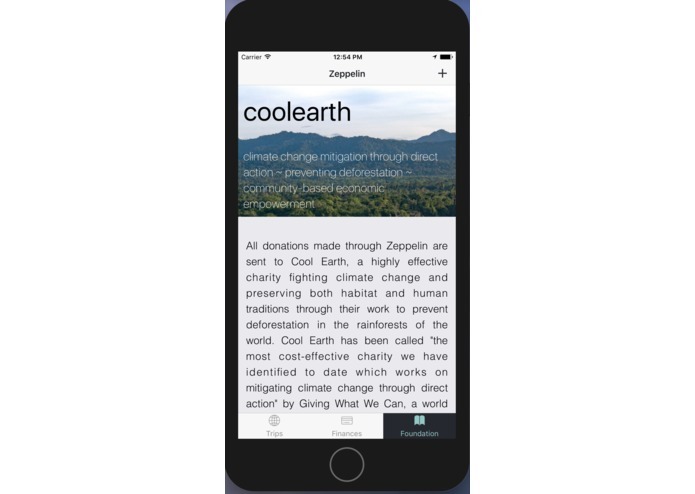 Zeppelin is built in React Native, which means that this app can soon be available on iOS, Android, and Windows phone, and after a little bit of tweaking, can even come up as a website. We first sat down and discussed what we wanted in the minimum viable product, and later brainstormed potential features we can add. We were happy to have finished out MVP pretty early, and after dividing up the additional features, we worked on accomplishing those. It was the first real opportunity most of us had to experience React Native, so there were many learning challenges we experienced. Setting up the local SQLite database and connecting with the Stripe API was the hardest of the challenges. 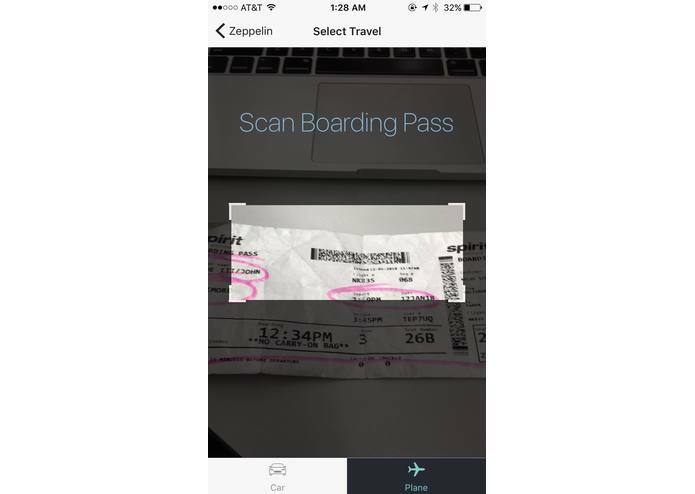 We took a lot of time in ensuring that our app looks polished. Even though this is a hackathon project, the app looks professional. Technologically, we would love to connect the app through social media, to add a social aspect to lowering carbon emissions. Additionally, we would like to offer a larger range of potential non-profits people could donate to, so our users can see themselves who they like best. On the business side, we see very big potential with airline companies: with large companies today helping fight climate change, airline companies can add the potential donations on future tickets, so the flyers can become better educated on what they can do to help.